If there’s one thing that internet culture has given us more than anything else, it’s trippy cat things. Techno Kitten Adventure takes a simple helicopter game and pumps it up with flashing colors, ecstasy inducing beats, trippy imagery, and flying cats. Made by the people at 21st Street Games, this seizure inducing game is a perfect emulation of what it’s like to live inside the internet (…probably). Whether that emulation will drive you to madness or insight is up to you. Regardless, its a novelty worth investing in and it’s a lot of fun to see a game embrace it’s psychedelic side as passionately as this one does. 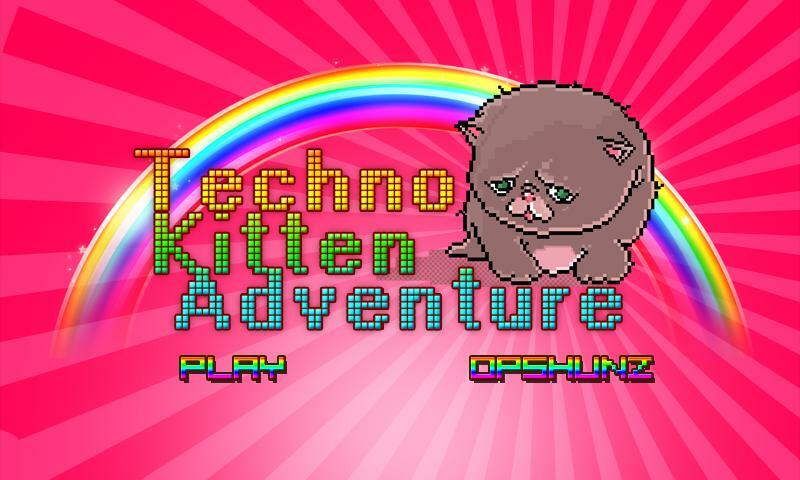 Techno Kitten Adventure is a freemium game that you can get through Android, iOS, XBox Live Indie Games, or Facebook. You can get a link for all of these platforms through the game’s website here.